A light and creamy ranch dressing with the brightness of fresh cilantro and lime juice! Very often the difference between a good salad and a great salad is the dressing and a tasty homemade dressing will really make your salads shine! 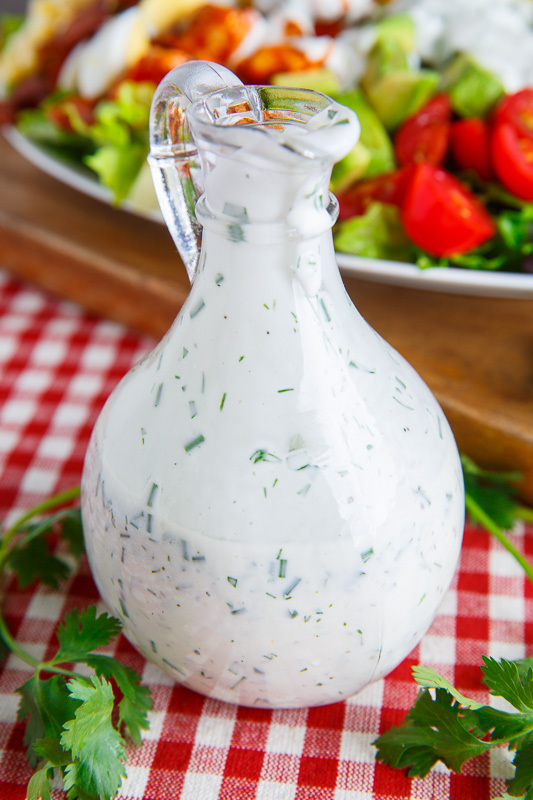 Ranch dressing is one of the most popular dressings around and during the summer it’s even better because you can make your own using fresh herbs! 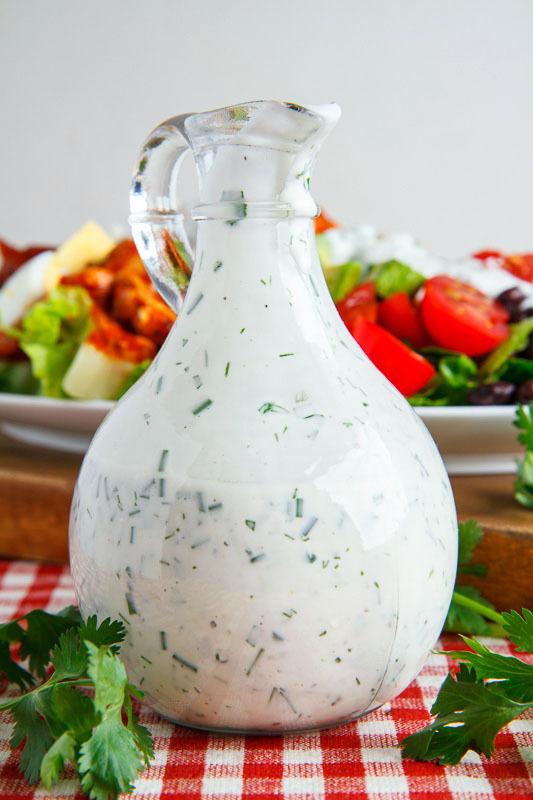 A ranch dressing is a creamy dressing with plenty of herbs, typically including chives and dill and for this version I added cilantro, making it the primary flavour, along with lime juice, which is a fabulous combination! This southwestern style ranch dressing with cilantro and lime is so nice and fresh and tasty and it’s perfect on a basic salad or any salad with a southwestern or texmex theme. No matter what salad you use this homemade cilantro and lime ranch dressing on, it’s sure to be the talk of the town! Option: Add Worcestershire sauce, Dijon mustard, hot sauce, etc. Ohhh I want to slather this all over my salads!! I LOVE the addition of cilantro in here! Summer salads are a must! !